Add more storage to a room with the addition of a handcrafted sideboard made right here in Cape Town. The sideboard is a functional piece of furniture that also works to define a room’s look and feel. 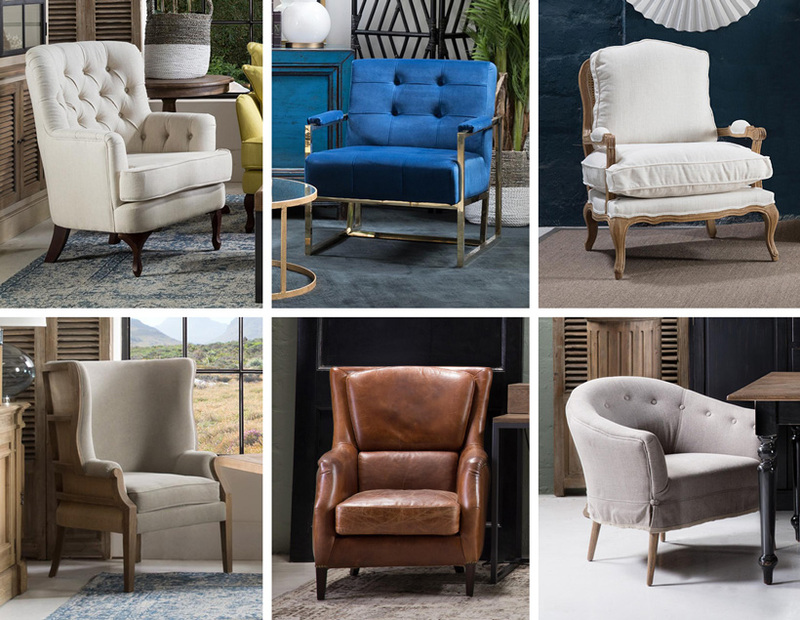 Crafted exclusively at our state-of-the-art Cape Town workshop, our Designed by Sibley collection includes sideboards in various styles that we have honed during our 30 years of craftsmanship. This includes a wide range of finishes, from our stand-out artichoke finish, to a more traditional weathered oak. This wide choice ensures you get a piece that is exactly yours, down to the finest detail. The collection embraces French and English country styles, as well as more minimalist options. Choose a sideboard that reflects your personal style. Bring the French Provincial look into your home with the Montpellier four-door sideboard’s curved skirting and carved cupboard door detail. From left to right: Colonial Brown Ash, Antique Weathered Ash and Weathered Ash. From left to right (top row): Antique Weathered Oak, Grey Washed Oak, Colonial Brown Oak. From left to right (bottom row): Railway Oak, Washed Oak, White Washed Oak. From left to right (top row): Antique White with Clay Finish, Antique White, Artichoke. From left to right (middle row): Biscuit with Antique White, Biscuit, Black Lacquer. From left to right (bottom row): Black Matt, Flat White and Chimney Sweep Grey. The Dublin Cross-legged server offers up a modern country feel, with a lower shelf for extra storage. This server is also available in the full range of colour and finish options above. 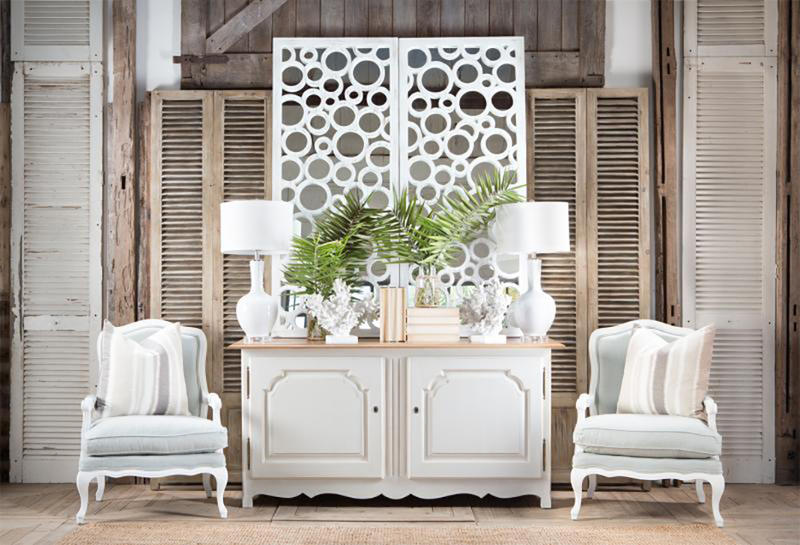 The Lillian console brings style down to the bare essentials with its clean lines, and will offer the right tone to a modern or eclectic interior. Add an exotic flavour to your space with the Dragon-leg Breakfront server. This piece demands focus with its dramatic curves and very own platform. Available in the full spectrum of finishes. Decide on the theme of your sideboard before you get to styling it. Slowly add small pieces such as lamps, vases and other trinkets that add interest through varying textures, shapes and designs. Give balance and depth to your sideboard's styling by placing a mirror above and centre. Not only will this offer some symmetry to your setting, it will also create a sense of space in your room overall. Add more than one mirror with a variety of different frames to create a standout feature.